This model of the Kizer Begleiter has a tanto blade made from CPM-S35VN with a hollow grind. 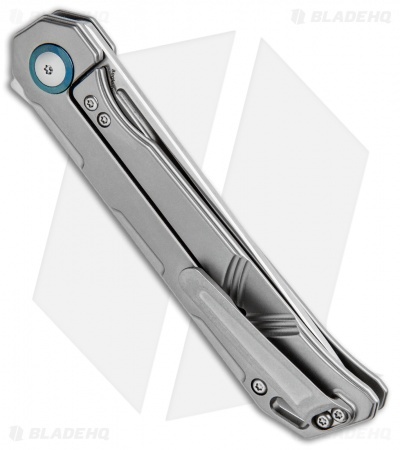 The handle is made from titanium with a blue pivot collar. 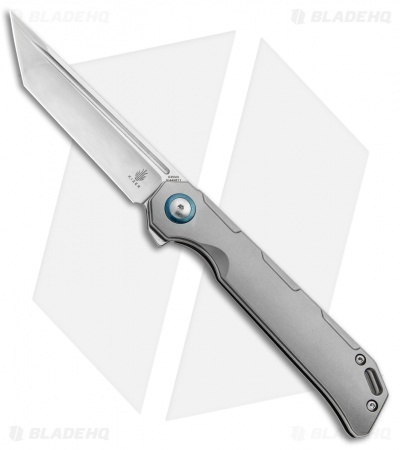 The Kizer Begleiter flipper is an upgraded redesign of Kizer's budget model that features a full titanium handle with tanto blade made from CPM-S35VN. The handle has milled pockets on the inside to reduce the weight. 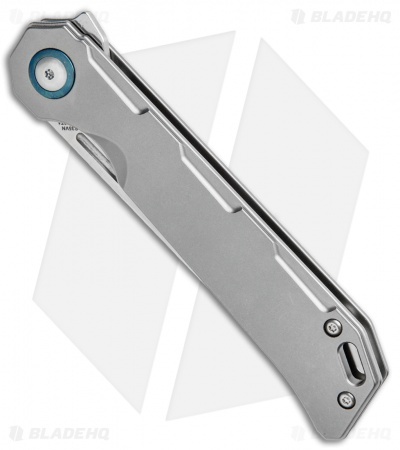 It includes a milled titanium pocket clip for convenient everyday carry. Hidden stop pin, giving the knife a clean aesthetic with a solid lock up. Ball-bearing pivot to ensure a quick, responsive opening. Got this in the mail the other day. The box and presentation was very cool. The knife its self is very aesthetically pleasing. I love the tanto blade on it too. It came razor sharp. There is only one thing that bothers me but it's not the end of the world. The pocket clip seems a bit weak. It slides in and out no problem and doesn't snag on anything, but I do feel like it will fall out easily. The Knife comes in a amazing box that shows how much Kizer as a company cares for their knives. 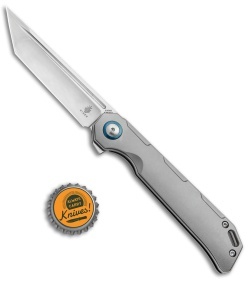 The knife comes razor sharp out of the box and well lubricated. It deploys smoothly and has a great satisfying snapping sound as well. A great knife overall from Kizer.